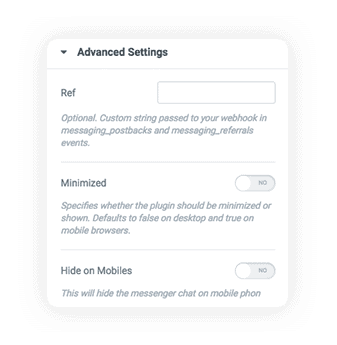 Premium Messenger Chat Elementor widget allows you to add Facebook Messenger Chat to any page easily and with many customization options you can control it’s look. Never miss a potential customer again. 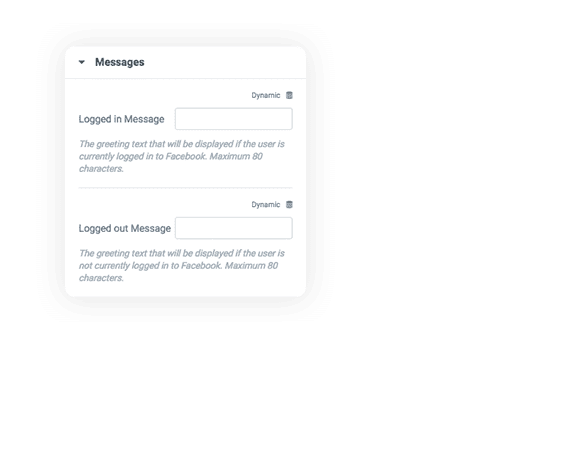 Facebook Messenger Chat widget for Elementor Page Builder gives you the ability to add Messenger chat to any page you want and connects it with your Facebook chat. 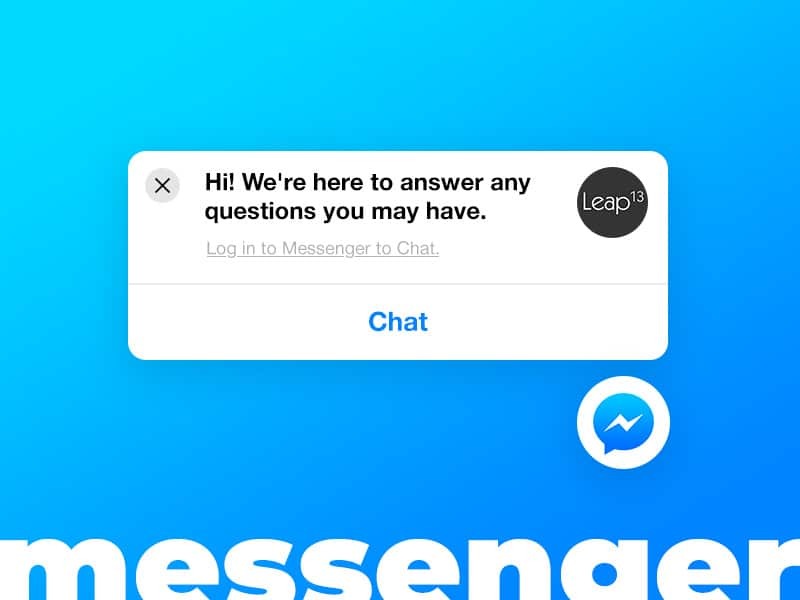 Messenger chat widget is a very strong and intuitive call to action that encourages visitors to engage with your website and send their inquiries easily. 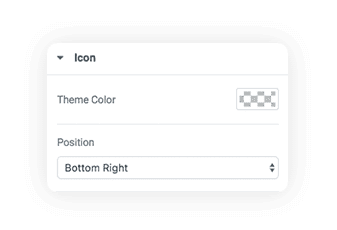 Choose from 4 ready-made positions or create your own custom position. Write custom greeting messages for both logged in and logged out users. Messenger chat widget makes it easy to get the Facebook Live Chat functionality working on your website without the need to setup one more plugin for that purpose. Less plugins installed on your WordPress means faster website performance. 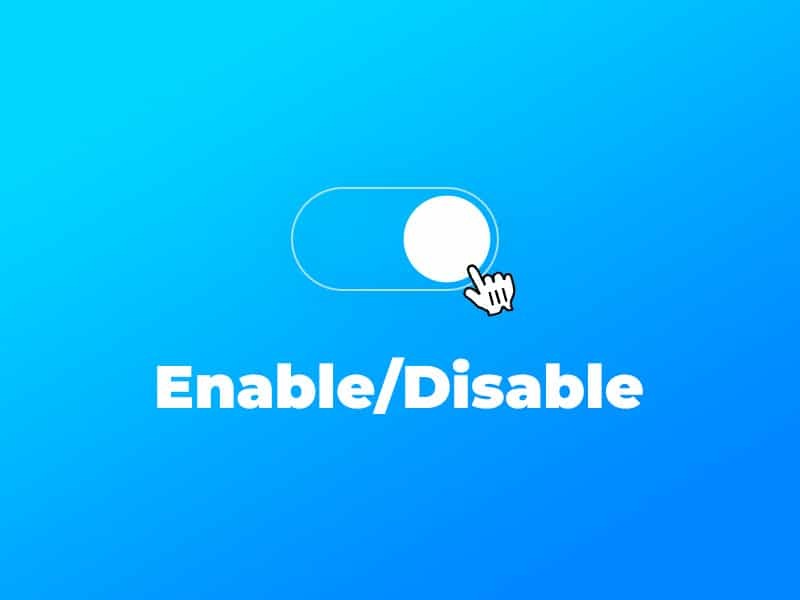 And like all other Premium Addons widgets if you don’t need to use this widget you can simply disable it from settings panel and it will not be loaded anymore.